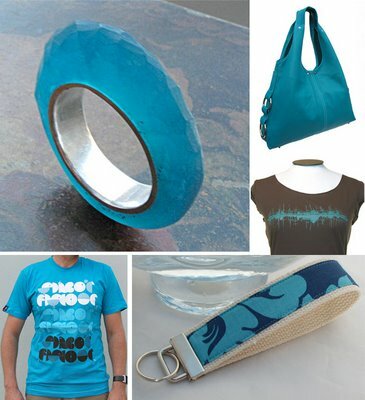 Teal is such a fun little color – somewhere between the navy of mid winter and the light aqua of early summer. I would go so far to say that teal is the color that says “you know, I think the economy will turn around soon…I’m going to buy something I don’t need”. Whatever your opinion of the economy or the my anthropomorphous obsession with color, I’m sure you’ll agree that these pieces are rather lovely! Love teal. It’s has become a very versatile color, too. Add red, orange, brown, yellow. Gorgeous! I love Teal! It is my favorite color this year. Its just a beautiful shade of blue-green-turquoise mixed together.